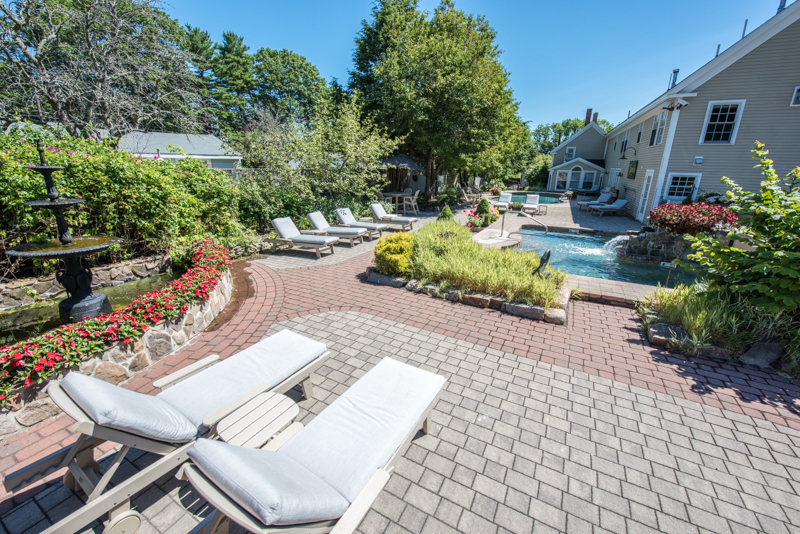 Located in our private tranquil back yard oasis, is one of the largest hot tubs in the country. 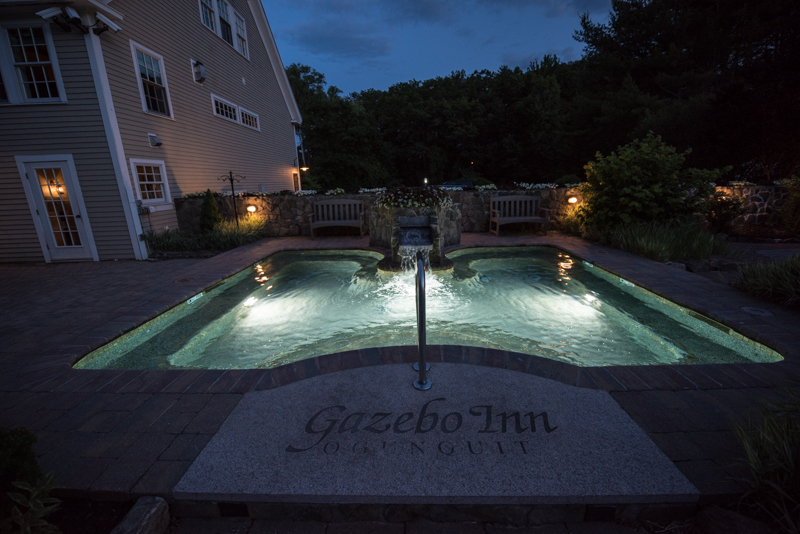 Designed ourselves, we created an environment of privacy, first by making it 5000 gallons, and second by designing a barrier made of local granite and rock encompassing a waterfall between couples, its like 4 tubs in one. 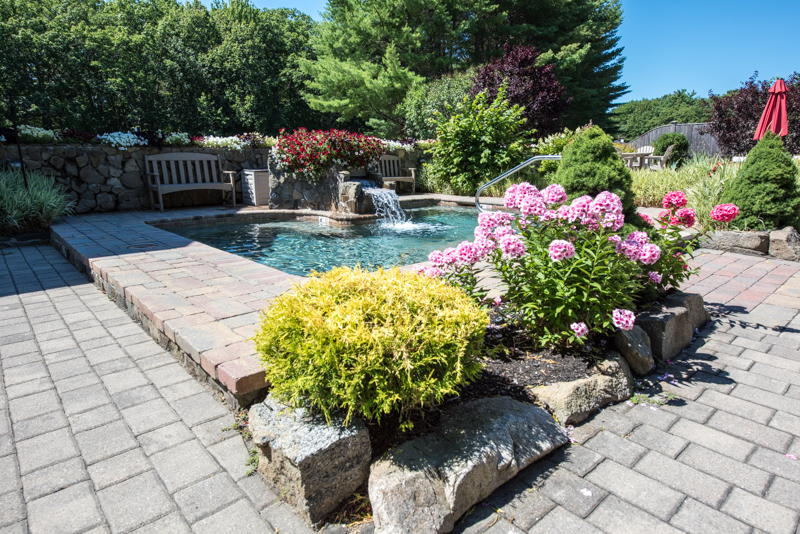 The hot tub is open all year with the Gazebo Staff keeping a clear path for our guests from the snow. Our waterfall will run in warm weather as to not cool the temperature of the tub. We generally heat the tub to 100-102 F all year. The hours of operation are from 8AM - 10PM. 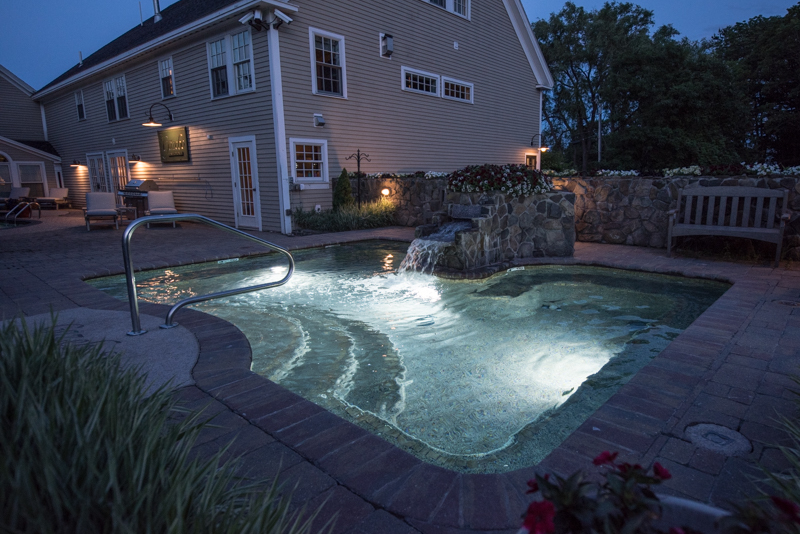 Salt water hot tubs create the cleanest most sanitary swimming experience, good for the environment and better for our skin. Salinity is much lower than swimming in the ocean so you get out feeling refreshed with smooth silky skin. 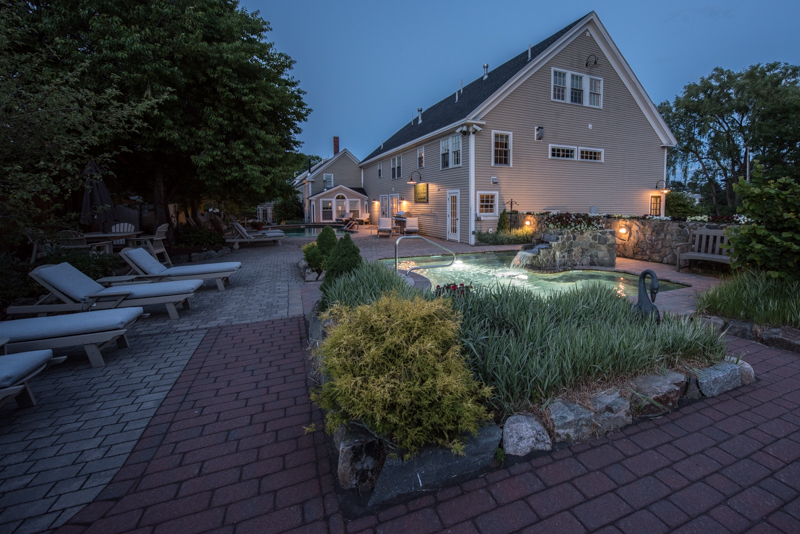 Going to a salt pool and hot tub contributed greatly to our Environmental Leader Award from the State of Maine and our TripAdvisor Gold environmental leader award. 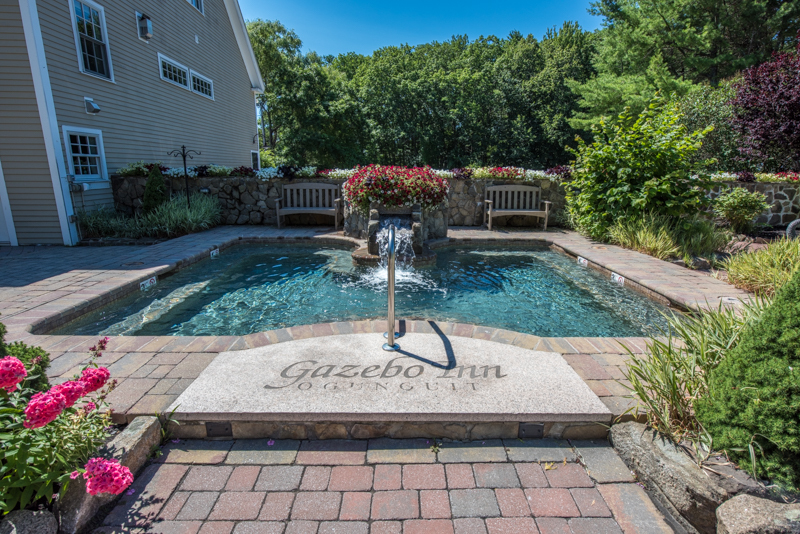 The Gazebo Inn staff are Certified Pool Operators by the State of Maine board of health.